Recent result (Wu and Guo in Commun Math Phys 336(3):1473–1553, 2015) has shown that over the 2D unit disk, the classical half-space equation (CHS) for the neutron transport does not capture the correct boundary layer behaviour as long believed. 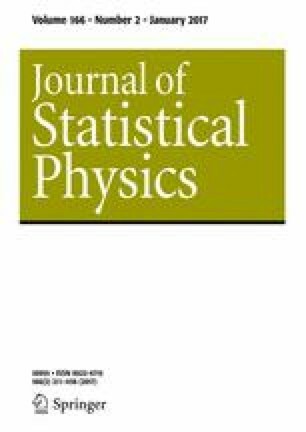 In this paper we develop a regularization technique for CHS to any arbitrary order and use its first-order regularization to show that in the case of the 2D unit disk, although CHS misrepresents the boundary layer behaviour, it does give the correct boundary condition for the interior macroscopic (Laplace) equation. Therefore CHS is still a valid equation to recover the correct boundary condition for the interior Laplace equation over the 2D unit disk. We would like to express our gratitude to the support from the NSF research network grant RNMS11-07444 (KI-Net). The research of Q.L. was supported in part by the National Science Foundation under award DMS-1318377 and DMS-1619778. The research of J.L. was supported in part by the National Science Foundation under award DMS-1454939. The research of W.S. was supported in part by the NSERC Discovery Individual Grant #611626.